English study involves an exploration of human values, their literary expression and the ways in which language and culture shape them. Courses in English are intended to help students read with understanding and enjoyment and write with skill and grace. 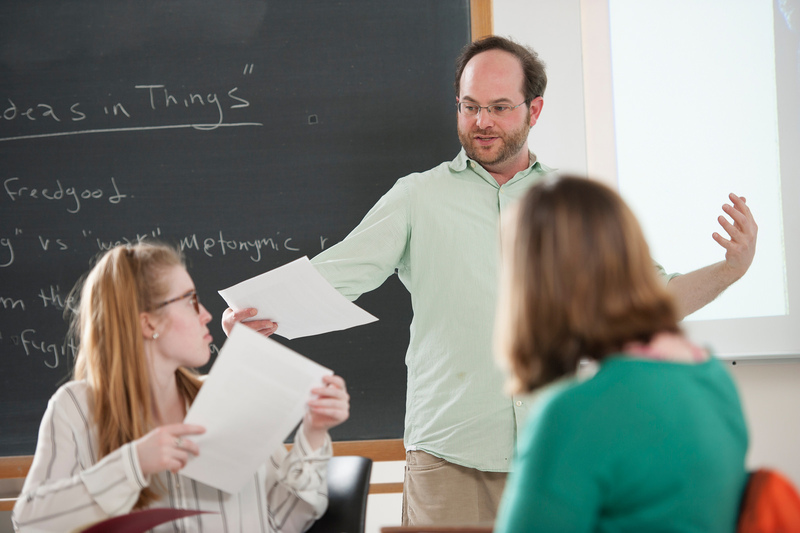 Students with junior standing who have a grade point average of at least 3.6 in courses taught by the English Department may pursue an honors program designed to stimulate independent work of a high critical and imaginative order. The program involves the "challenging for honors" in two 400-level courses and the writing of a senior thesis. Students may take any English Department 400-level class for honors credit, with approval of the instructor of the course.